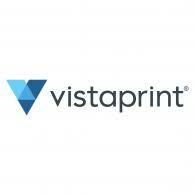 Find here the best Vistaprint coupons and vouchers. Vistaprint is one of the world’s leading online printing companies, Vistaprint empowers millions of small business owners to promote themselves professionally. With a wide range of quality print products available at affordable prices, customers can easily create the personalised products they need without breaking the bank. From folded leaflets and brochures to photo books, cards and invites, customers can choose from their exclusive designs or simply upload their own. What’s more, they pride themselves on first-class customer service and absolutely guarantee their customers’ satisfaction. They have consolidated their market-leading position. They’ve greatly expanded their product and service offerings and advanced our technology. Their products are printed in the Netherlands and they run a state-of-the-art research centre in Switzerland to ensure their customers will continue to benefit from the latest technological innovations.